Municipalities around the Great Lakes and Saint Lawrence River want to help address global climate change, but need help to do so. 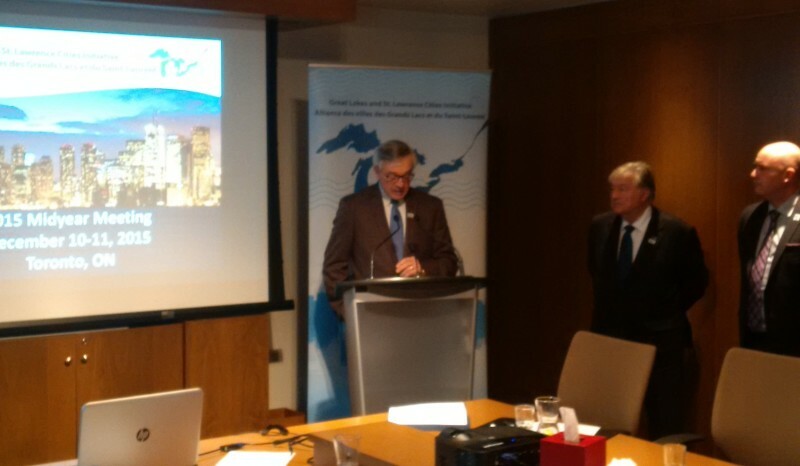 That was the message during a meeting of the Great Lakes and Saint Lawrence Cities Initiative in Toronto. Mayor Randy Hope is making another appeal for higher levels of government to support green initiatives at the local level. “Doing what we can to conserve energy and doing what we can to mitigate the amount of phosphates and nitrates in the water has always been part of our strategies. But property tax bases have gotten to the point where we need help from the federal and provincial government,” says Hope. The initiative wants to see international leaders reach an agreement that will limit temperature increases to 1.5 C in the long-term.